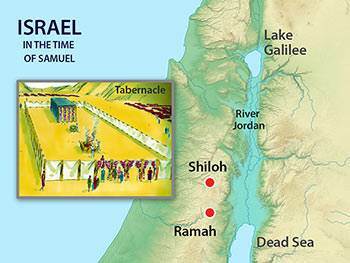 Samuel was the firstborn son of Elkanah and Hannah who lived in the small town of Ramah, somewhere around 1000 B.C. 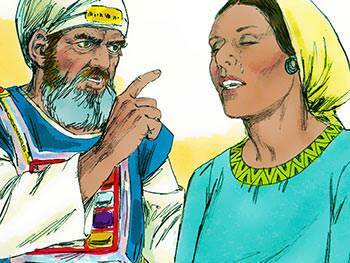 Elkanah was a Levite who followed the common custom of polygamy. Peninnah, his other wife, had borne him several sons and daughters, but Hannah, his favourite wife, was childless. Every year the family visited Shiloh to sacrifice to the Lord, and Peninnah used to taunt Hannah because of her barrenness, reducing Hannah to tears. During one visit, Hannah enters the tabernacle and prays earnestly and silently for a son, promising to dedicate him to the Lord. She is so distraught that Eli the priest considers her drunk and rebukes her. When he hears the truth, however, his rebuke turns to a blessing. In due time Samuel is born, and when he is three years old is presented to Eli for training in the work of the Lord. How do you respond when you become the victim of spitefulness, misunderstanding and contempt? Hannah refused to let either the tauntings of Peninnah, or the misconceptions of Eli, goad her into anger or retaliation. A good model to follow—today, and every day. Having fulfilled her vow to dedicate Samuel to the work of the Lord, Hannah breaks forth into joyful prayer (vv. 1-10). In the future her annual visits to Shiloh will not be with sadness, but with joy and expectation to see her growing son, Samuel, and supply him with new clothes. 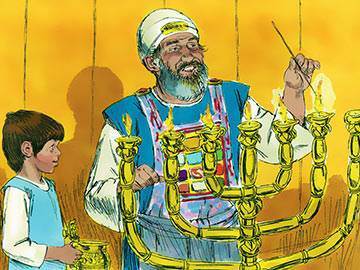 Samuel seems to have slept within the holiest place, having the duties of keeping the lamp of God burning and opening the tabernacle doors at sunrise. 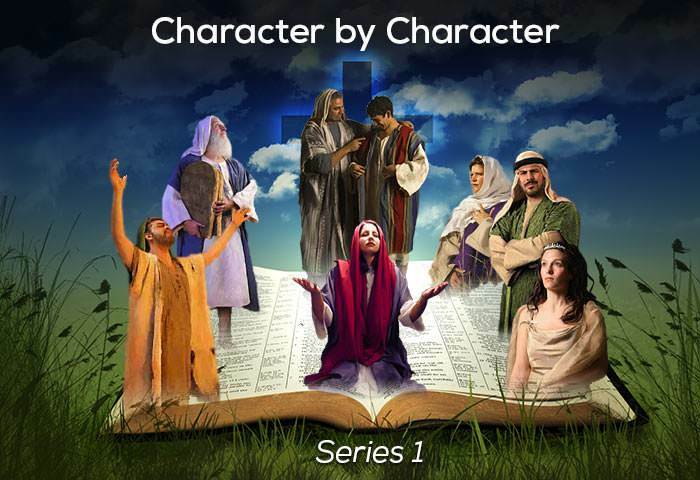 Eli’s two sons, though acting as priests in the Lord’s house, have no real respect for the Almighty, whereupon a man of God visits Eli and prophesies the death of his two evil sons and the downfall of his household. He announces also that God will, in due time, raise up a faithful priest who will carry out His will, and bring honour and glory to the Lord. Most commentators believe that one of the reasons why Eli’s sons turned out to be failures was due to lack of loving and corrective discipline. In Deut. 21:18-21 are contained clear steps of action which Eli, as a priest and a judge, should have known. Where there is no discipline, there can be no disciples. 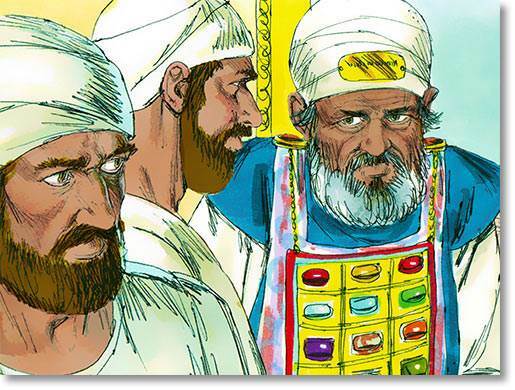 Like Samson, whom we looked at in Lesson 12, Samuel was a Nazirite. He was promised to God by his mother prior to birth, and this promise constituted the Nazirite vow (see Num. 6:1-8). 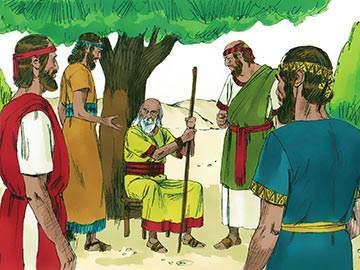 Samuel was called to the prophetic office (i.e. to be a special spokesman for God) when he was very young. 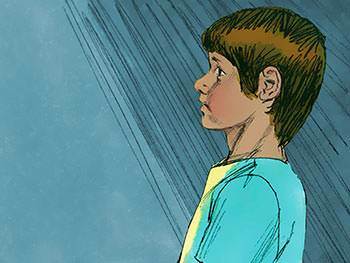 One night, while Samuel is fast asleep, he is awakened by a voice calling his name. Thinking the voice to be that of Eli, he immediately presents himself to the old man, but Eli assures Samuel that he did not call. 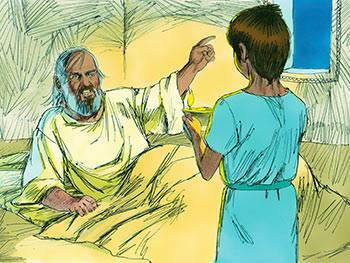 After this happens three times, Eli realises that God is calling Samuel, and instructs him how to respond if he hears the voice again. 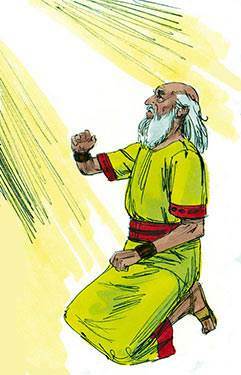 Samuel obeys and receives a message for Eli—a message which repeats an earlier prophecy (2:27-36). 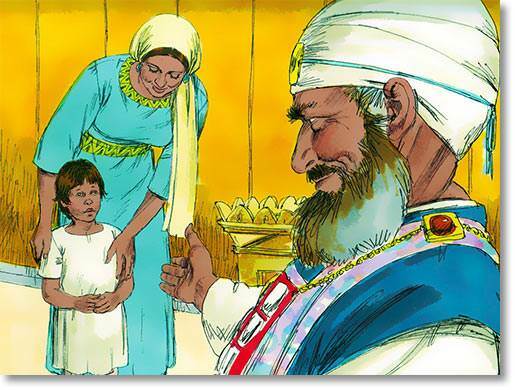 As Samuel grows up, he is acknowledged by everyone in Israel to be a prophet sent from God. Can you imagine how hard it must have been for Samuel to have reported to Eli the message which God had given him concerning the judgment that was to come upon his family? Yet Samuel does not hesitate to do it. How good are you at passing on the messages the Lord gives you for others? The prophecies given to Eli concerning Hophni and Phinehas, his two sons, come true when they are killed during a fierce battle with the Philistines in which the ark of God is captured. On hearing the terrible news, Eli falls from where he is sitting and dies of a broken neck (4:10-18). Later the ark is miraculously returned to Israel from the hands of the Philistines, and is safely housed at Kiriath-jearim. Twenty years pass before Israel is ready to respond to Samuel’s call to show the reality of their repentance by putting away heathen gods and serving the Lord. 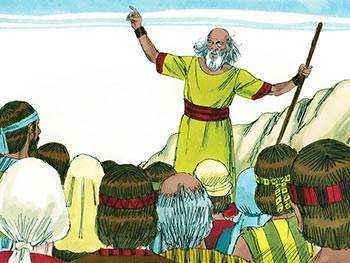 When finally they obey, Samuel offers a burnt sacrifice and takes up the work of intercession for his people. As a result of his intercession, Israel gains a great victory over the Philistines and a period of peace and prosperity begins. Have you ever realised that a refusal to pray for others could constitute a sin? Turn to 1 Sam. 12:23 and you will see what we mean. Perhaps this is an appropriate moment to check on your personal prayer life. How much time to do you give to praying for others? Seconds? Minutes? Hours? At this juncture in the history of Israel, Samuel is established not only as a prophet and a priest, but also as a judge. His home is at Ramah, where he builds an altar and administers justice on an annual circuit which takes in Bethel, Gilgal and Mizpah. 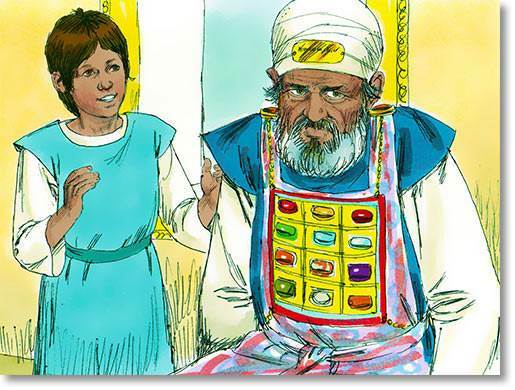 Samuel’s style of justice is firmly based on godliness, fairness and good organisation. 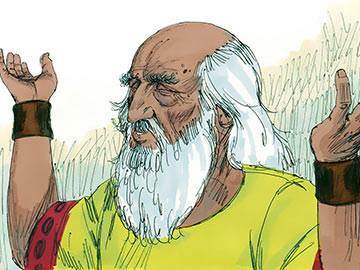 In his old age, Samuel appoints his two sons to be judges in Israel, but regrettably, they fall prey to the evil of bribery and pervert the course of justice. The elders of Israel, concerned that Samuel’s sons are not following in their father’s footsteps, approach Samuel and ask for a king. 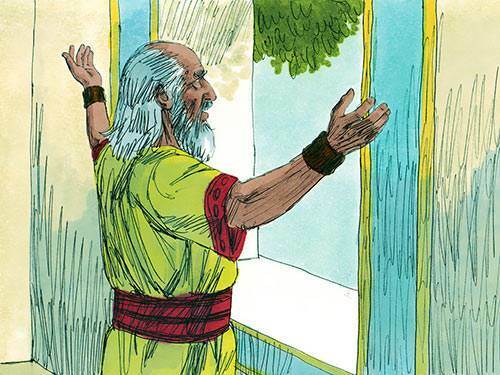 Their request greatly displeases Samuel, but he seeks God’s guidance and is told to grant their request, at the same time solemnly warning them of the outcome. Ready for a challenge? Then here it is: it was never God’s perfect will for Israel to be ruled by a king, but only His permissive will. In settling for a king, Israel settled for second best. How about you? Are you settling for second best in your spiritual life? If so, then decide to do something about the issue—today. A long and unsuccessful hunt for his father’s lost donkeys brings about a meeting between Samuel and Saul—the future king of Israel. Saul and his servant are on the point of giving up their fruitless search when the servant suggests they should consult a local seer at Ramah whose words always come true (1 Sam. 9:6 & 3:19). 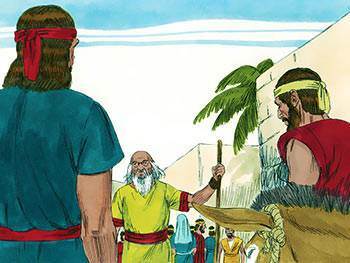 As Saul and his servant enter the city, they meet Samuel who has been prepared by God for the meeting. 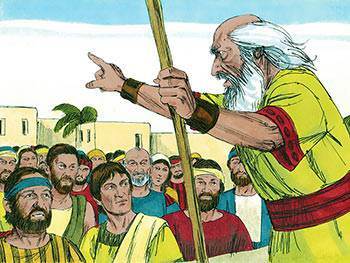 Samuel knows Saul by divine intimation as soon as he sees him, but Saul does not know Samuel. The prophet tells him that he need no longer be concerned for the donkeys as they have been found, and then invites the two men back to his house for a specially prepared feast. Saul is given a place of honour, and eats the meat which is normally reserved for priests. How different are the Lord’s purposes from our individual and personal intentions. Saul went out looking for some donkeys and instead found a kingdom. How grateful we ought to be for the fact that our lives are guided by an unseen, but benevolent hand. 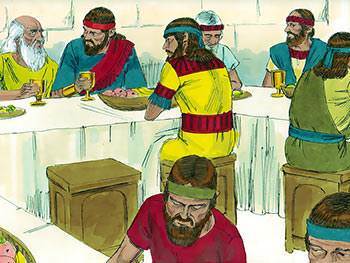 After the celebration feast given in Saul’s honour is over, both he and his servant stay at Samuel’s home for the night, and in the morning Samuel sets them on their way home. With simple courtesy, the prophet accompanies his guests down the hill to the last house of the city, and then sends Saul’s servant on ahead in order that he might have a private moment with the future king. 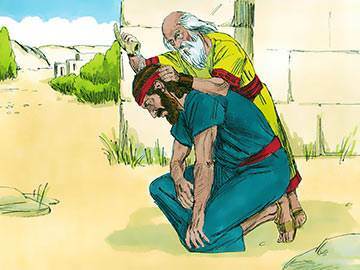 Samuel informs Saul that he is chosen by God to be king over Israel and pours over Saul’s head the consecrated anointing oil, announcing him to be the ruler and deliverer of Israel. God gives Saul a new heart (v. 9), and the farmer’s son becomes a national leader and a warrior. Despite Samuel’s personal dislike of Israel’s desire to appoint a king, he nevertheless treated Saul with respect and courtesy. This was because he saw and understood the principle of submission to God-ordained authority. If you are not familiar with Romans 13:2, then read it right now. You may be in for a surprise. 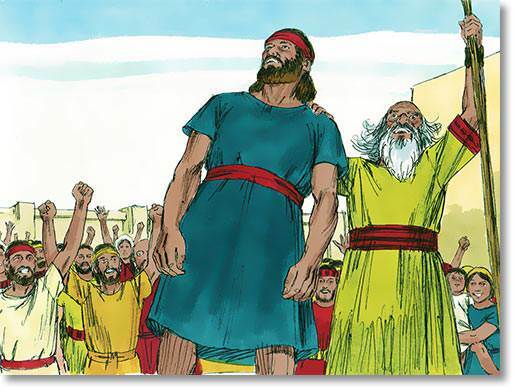 In terms of moral stature, historical significance and devotion to God, Samuel stands head and shoulders above most other Old Testament personalities. Samuel was selfless, prayerful, strong and discreet, but the main lesson to be learned from his life is the power and importance of loyalty. He supported and attended Eli. He remained to counsel and support Israel even though they chose to go contrary to God’s desires. What is loyalty? Loyalty is refusing to abandon someone who has let you down, opposing mistaken policies without losing fellowship. But loyalty is not blind or weak or silent—Samuel did not support Saul in his wrongdoing, yet how loyal he was to him is shown by the words: “And Samuel came no more to see Saul until the day of his death: nevertheless Samuel mourned for Saul” (1 Sam. 15:35, AV). Samuel learned his loyalty from God. So must we!